The Senate will vote Thursday on two separate bills that would bring an immediate end to the partial government shutdown: one backed by President Trump that includes $5.7 billion for his border wall and another that would simply extend funding for shuttered agencies through Feb. 8, as the New York Times’ Sheryl Gay Stolberg reports. Meanwhile, the partial government shutdown is hindering federal law-enforcement operations the FBI Agents Association said today in a new report, as the WSJ’s Byron Tau reports. Dive Deeper: “Is the Shutdown Weakening Cybersecurity?” by CSIS’s Suzanne Spaulding. Days after the White House announced plans for a second nuclear summit between the United States and North Korea, a new CSIS report has identified a secret North Korean ballistic missile base about 160 miles northwest of Seoul that is reportedly the headquarters of the country’s strategic missile force, as the Washington Post’s Lena Sun reports. Dive Deeper: “Undeclared North Korea: The Sino-ri Missile Operating Base and Strategic Force Facilities,” by CSIS’s Joseph Bermudez, Victor Cha and Lisa Collins. “The Second Trump-Kim Summit Is Set, But Is Trump Ready?” by CFR’s Scott Snyder. The leaders of France and Germany signed a new treaty on Tuesday to update their 1963 post-war reconciliation accord, aiming to reinvigorate the European Union’s main axis as growing eurosceptic nationalism tests the bloc’s cohesion, as Reuters reports. Dive Deeper: “The Treaty of Aachen. New Impetus for Franco-German Defense Cooperation?” by the Institut Francais Des Relations Internationales (IFRI). North Korea has approximately 20 undeclared missile operating bases. Announced on Monday, CSIS's Beyond Parallel Project has identified Sino-ri, another secret ballistic missile base in North Korea. 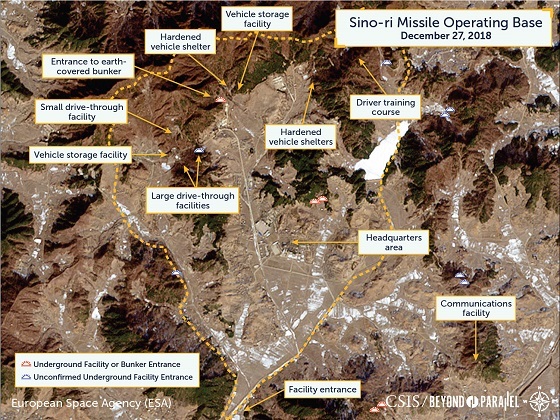 As one of North Korea’s oldest missile operating bases, Sino-ri was essential to the historical development of North Korea’s missile program. (Photo credit: LUDOVIC MARIN/AFP/Getty Images). French President Emmanuel Macron and German Chancellor Angela Merkel exchange the French-German friendship treaty today in western Germany. 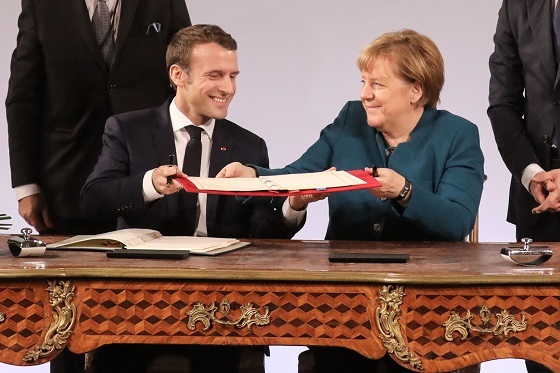 France and Germany signed a new friendship treaty seeking to boost an alliance at the heart of the European Union as Britain bows out and nationalism advances around the continent. “Foreign Policy’s 10th Annual Special Edition of Global Thinkers,” via Foreign Policy. At 8:30 a.m., join CSIS for its experts’ annual preview of political, security, and economic developments across Asia. At 2:00 p.m., the Heritage Foundation will host a discussion regarding what actions the United States should take as it prepares to withdraw from the Intermediate-Range Nuclear Forces (INF) treaty. Later, at 4:30 p.m., head back to CSIS for a panel discussion hosted by CBS News legend Bob Schieffer about the effects of the decision to pull U.S. troops from Syria and Afghanistan. After her Brexit plan was defeated in Parliament, Prime Minister Theresa May returned with an alternative strategy for Britain’s withdrawal from the European Union. CSIS's Europe Program director Heather Conley explains the challenges of Brexit in our “What’s Happening” series. Watch the full video here. Trade experts Scott Miller and Bill Reinsch break down the buzz around trade, how it affects policy, and how it impacts your day-to-day. 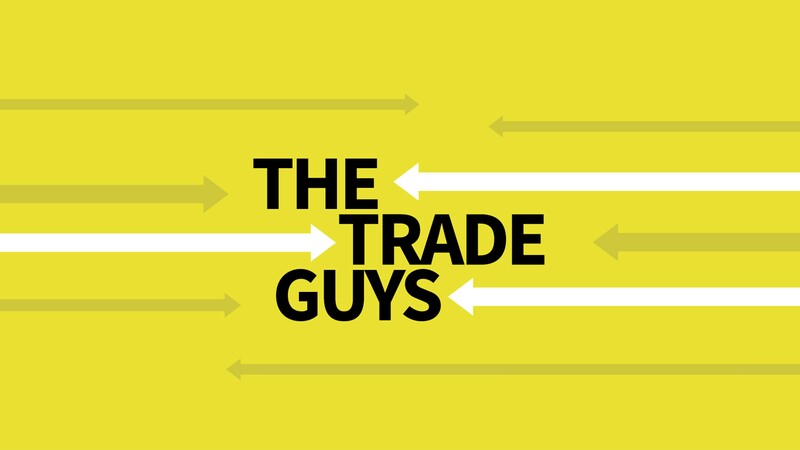 On a new episode, the Trade Guys catch up with guest Heather Conley, who offers fresh insights about Brexit, how it might affect trade, what it means for us, and where we go from here. Listen on SoundCloud, Spotify, or Apple Podcasts. I’ve been listening to some deep obscure Rolling Stones tracks (non-hits) and enjoying them immensely. Over the years, the band has issued a staggering amount of great material and some of it is considered “filler” when compared to their massive hits. But this “filler” would put any other band in the Rock Hall of Fame. So, I’ve decided to create my own Stones’ album of deep cuts taken from their records following “Exile on Main Street.” There are really no obscure tracks from “Beggar’s Banquet,” “Let It Bleed,” “Sticky Fingers” or “Exile.” They are four of the best albums ever recorded and each song is a standard if not a bona fide hit. I hope you enjoy my obscure Stones compilation. Here’s a taste of one of my favorite tracks from it.